Sleep apnea is a serious disorder that has severe negative effects on the body. At our Lake County IL Apline Dental office, Dr. Debora Klein uses many effective treatments that can alleviate the risk of sleep apnea and dramatically improve your night’s rest. Treatments offered at her practice not only make it easier to breathe, but enhance the quality of breath. There are several devices that can be used for therapy that will enhance your comfort in sleep. Obstructive Sleep Apnea Treatment – is oral appliance therapy right for you? The most common treatment for Lake County IL patients diagnosed with severe sleep apnea may be a CPAP machine. For those who simply will not use a CPAP machine, a dental mouth guard might be the next best alternative. At Alpine Dental, we see patients who travel frequently and can not tolerate the CPAP machine for various reasons – for example, if you like to go camping, it’ll be hard to find a 200-mile extension cord for your CPAP machine! 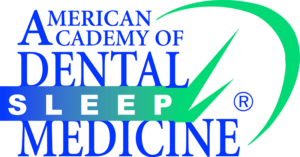 Remember, not all dentists have the same level of training and not all dental professionals are comfortable treating sleep disorders. Dr. Klein, however, can create custom oral appliance for her patients. This appliance, specially designed to treat obstructive sleep apnea, starts working as soon as you slip it into your mouth at night. The dental mouth guard has a very high success rate for those with snoring and sleep breathing issues due to mild or moderate OSA. For symptoms of obstructive sleep apnea, a custom oral appliance is a fast, safe and effective solution. What Happens With Untreated Sleep Apnea? High blood pressure – Sudden drops in blood oxygen levels can put a strain on your cardiovascular system, increasing the blood pressure needed for circulation. Heart issues – Sleep apnea can increase the risk of heart attacks. Obstructive sleep apnea can increase your risk of stroke or irregular heartbeats. Diabetes – Diabetes occurs when the body the body has too much blood sugar because the insulin production is limited or non-existent. Insulin is the hormone that is made by the pancreas that regulates the sugar in your body. Stroke – A stroke is caused by the blood flow to an area of the brain being cut off. Because of this, the brain cells of that area die and can cause permanent damage to the function of many parts of the body. Complications with medications and surgery – Major surgery requires a patient to get anesthesia, which could be difficult with sleep apnea symptoms. On the same note, side effects of medication could cause a bad reaction in those suffering from this condition. Liver problems – Patients with a diagnosis of OSA generally have more abnormal results on liver tests, as well as signs of scarring or cirrhosis. Sleep-deprived partners – The constant, loud snoring not only prevents you from getting a good night’s sleep but also can prevent your partner from sleeping well too. This causes both patient and partner to be irritable and less energetic throughout the day. Sleep apnea is a serious condition that can have detrimental effects on your overall health. Let Dr. Debora Klein help you combat this disorder. If you live in Lake County, IL or in a surrounding neighborhood, call us today. We will help you regain a good night’s rest once again.